The biggest benefit of snow tires is that they grip the road better in cold weather, which is due to the special rubber used to manufacture them, according to the Weather Channel. Edmunds.com also notes that most snow tires have specially designed treads that improve their grip. The softer the rubber in the tire is, the better it can grip the road, notes Edmunds.com. For this reason, snow tires are usually made with much softer rubber compounds, which can handle freezing temperatures without hardening up. However, the softer rubber makes snow tires a poor choice for warm temperatures, as they may grip too well as the rubber heats up. In a Weather Channel article, the public relations manager of Michelin states that snow or winter tires are those which are designed for use at temperatures below 45 degrees Fahrenheit. At this temperature, the harder rubber in all-season tires starts to harden up, and they begin to lose traction. 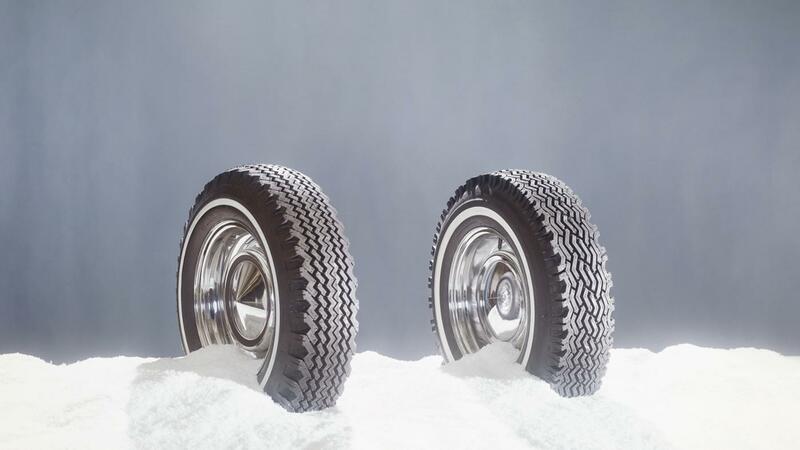 The treads on snow tires are usually much smaller than on other types of tires. The blocks of treads are also cut with many thin lines, known as sipes, which increases the surface area and allows more rubber to contact the road. Some snow tires also contain metal studs, but as Edmunds.com points out, these are illegal during all or part of the year in some areas of both Canada and the United States. What Are the Benefits of Having All-Season Tires? What Are Key Questions to Ask When Rating Auto Tires?